Text Message Software for Pocket PC provides solution to compose and send group text messages directly from Windows based Pocket PC devices. Pocket PC SMS sending program allows you to send notification or Standard SMS as per your choice and provides option to load contacts from file for sending bulk SMS. Software easily delivers group reminders, job alerts and greetings. 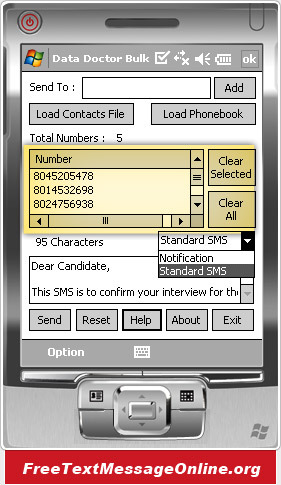 ➨ No special guidance or help required to use Pocket PC sms software. ➨ Works with major Windows based Pocket PC or PDA devices. 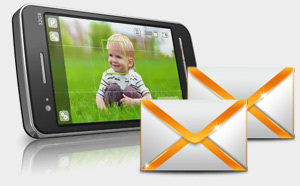 ➨ Software provides instant sms sending procedure.